Anne Bogel is a legendary Introverted Church guest blogger. Every post she writes almost instantly lands on the most popular posts list. She wrote this one last December, and by the end of the first day, it was the 6th most popular post in my blog's history. Then she threw this one down in April and it made the list by the third day. It was clear that I had to ask her to write a post for this last week of the blog. She has game, and I am merely providing the playing field for her to showcase her skills. About the author: Anne Bogel is an INFP and self-confessed Christian education nerd, and she muses about the intersection of faith, the church, and women on her blog Anne-with-an-e. You can find her on twitter at @ModernMrsDarcy. Each summer she devotes a fortnight to acting out the entire Jane Austen corpus for the neighborhood kids using finger puppets and her mastery of English dialects. 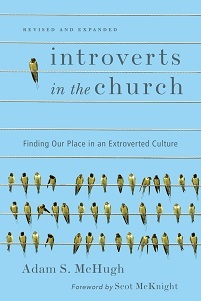 Also check out her review of Introverts in the Church. You're gonna have to believe me on this one: I'm really good at coming up with smart, creative ideas and devastating insights into your soul. I rarely get credit for them. This used to bother me. A lot. For the longest time, I bemoaned the fact that assertive people got credit for their good ideas. They were acknowledged, thanked, and praised. But I seemed to lack the charisma to be memorable, and I never got any credit for mine. As an introvert, I like to work behind the scenes, but I still wanted people to knowI was there. I knew my ideas were good: I could tell because they were implemented and acted upon. But I grew weary of watching others get the credit, while I stood to the side, forgotten (again). But then something unexpected happened, something that completely changed my perspective. 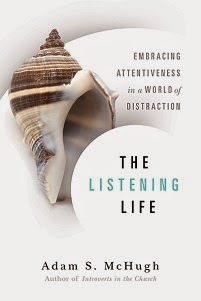 My women's Bible study was finishing up a 12-week study, and we closed our last gathering with one of those painful-for-introverts Share Fests. Each of the 20 women held the floor in turn, sharing a little about her experience with God that spring. The talking stick passed to my friend, and she began to speak about the amazing ways God had moved in her life that spring. Her eyes brimmed as she described the changes that were happening in her heart, and in her home. God had given her a message--a mantra--and she'd been living by it, clinging to it. But the funny thing was, she had no idea where she'd encountered those words. She didn't know who had told her, where she'd read them. But she shared the message she'd been living by that spring with us all, and then she shook her head, saying, "An angel must have whispered those words in my ear." And I was hurt, as I heard my words repeated back to me. She'd remembered what I'd said, but had forgotten all about our conversation in her kitchen. I was so happy for her--but wounded, too. Because my friend had forgotten about me. I felt so childish when I confessed what had happened to my husband later that night--word by painful word--but I was weary of being the forgotten one and needed honest feedback. His response stunned me: You are not weak, and you are not forgettable. How could you be? She mistook you for an angel--an angel from the Lord. From that day on, I've been able to embrace my peculiarly introverted gift: the gift of angel whispers. I'm an introvert. I'm not forceful and bold; I don't drip with charisma. My personality blends into the background at times, and this used to bother me. A lot. But no longer. For I've learned that when I fade away, it's his glory that shines.